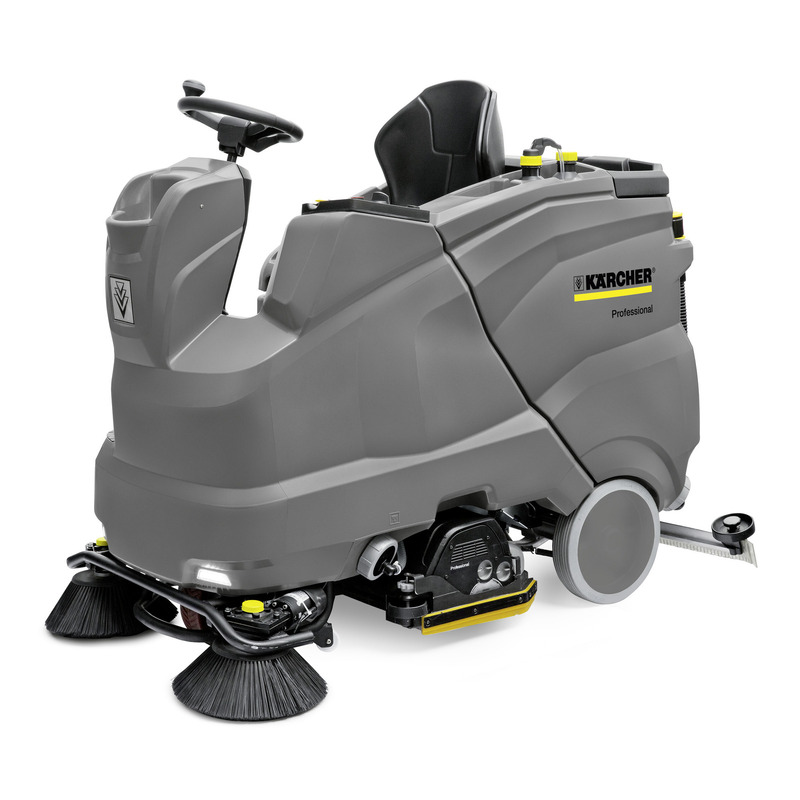 B 150 R 12460202 https://www.kaercher.com/tn/professional/floor-scrubbers-scrubber-dryers/scrubber-driers/ride-on-scrubber-driers/b-150-r-12460202.html Freely configurable, compact B 150 R ride-on scrubber drier with 150 l tanks, available in roller or disc head version. Perfect for medium-sized areas from 2,500 to 10,000 m². 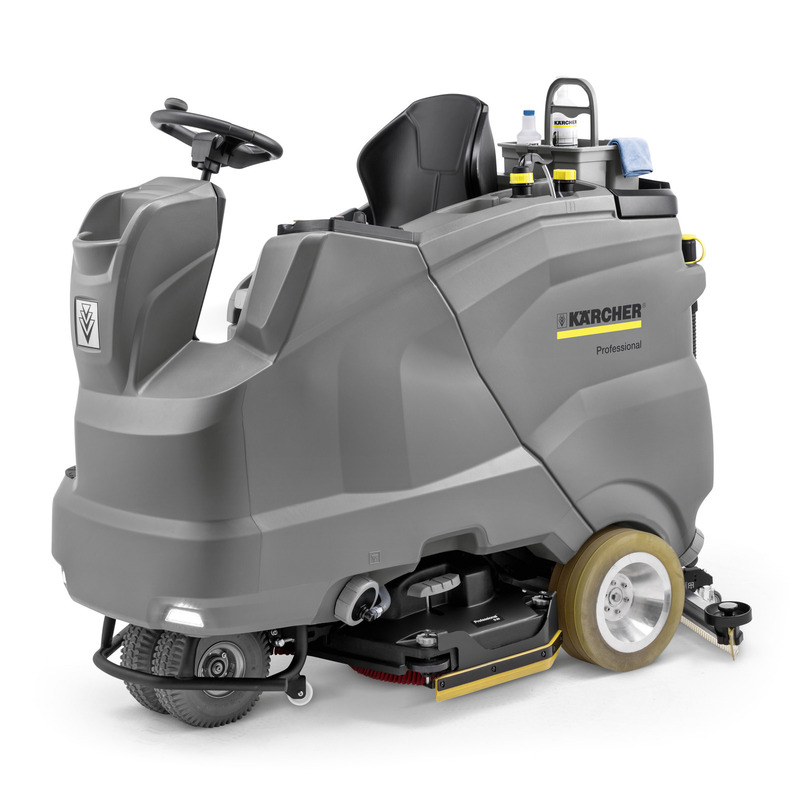 Freely configurable, compact B 150 R ride-on scrubber drier with 150 l tanks, available in roller or disc head version. Perfect for medium-sized areas from 2,500 to 10,000 m². The compact B 150 R is ideal for cleaning indoor areas and offers a perfect overview at all times. The battery-powered ride-on scrubber drier (180–240 Ah wet/gel batteries) is equipped with a working width of 75 or 90 centimetres and comes with either roller head incl. sweep function (ideal for structured floors) or disc head for smooth floors. The optional all-wheel drive guarantees optimal traction and helps to confidently master corners and inclines. The brush head and squeegee are automatically lowered. The machine has a large colour display and colour-coded operating elements. This facilitates the handling of the machine considerably. The automatic adjustment of the contact pressure, adjustable cleaning modes and the KIK key system round off the equipment package. The Dose cleaning agent dosing unit, the Auto Fill function for efficient filling of the fresh water tank, as well as the tank rinsing system for convenient cleaning of the dirty water tank, are also available as options.